Swimming is fun and doesn’t seem like a workout for many people. If you and your children spend a lot of time together in the family swimming pool, you just might get in shape when you’re playing Marco Polo! How to make the most of a swim exercise routine, is something that many pool owners are interested in. The swimming pool contractors from Imperial Pools in Decatur, Illinois understand that and can offer advice to help pool owners get in shape and help keep the children in shape without them even knowing it! SShhh if you don’t tell, we won’t tell! A swim workout won’t put any stress or strain on your muscles and joints and that makes it an ideal workout routine even if you’re recovering from another sports injury. Remember to ask your doctor whether a swim workout will help you recover, but don’t overdo! You won’t suffer injuries because of the buoyancy of the water. 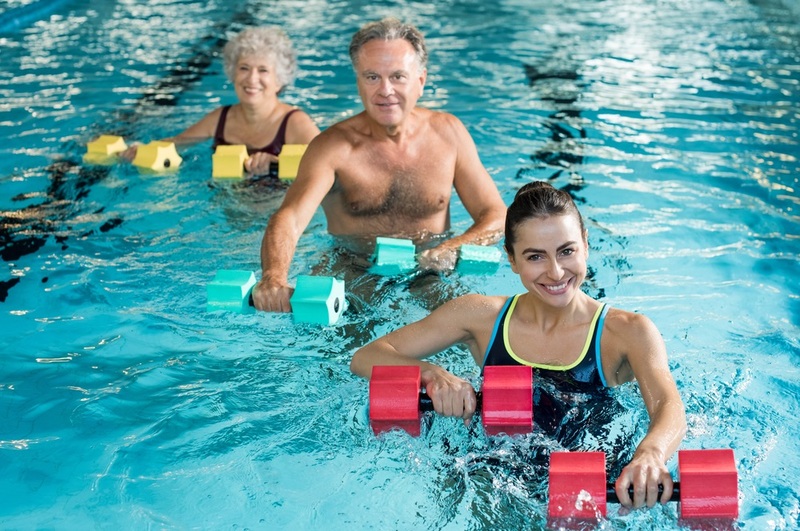 If you suffer arthritis, weight issues or have a joint injury, you can still get a pool workout because you won’t be impacting your joints. Everybody into the pool if you want to get fit without worry of injury.